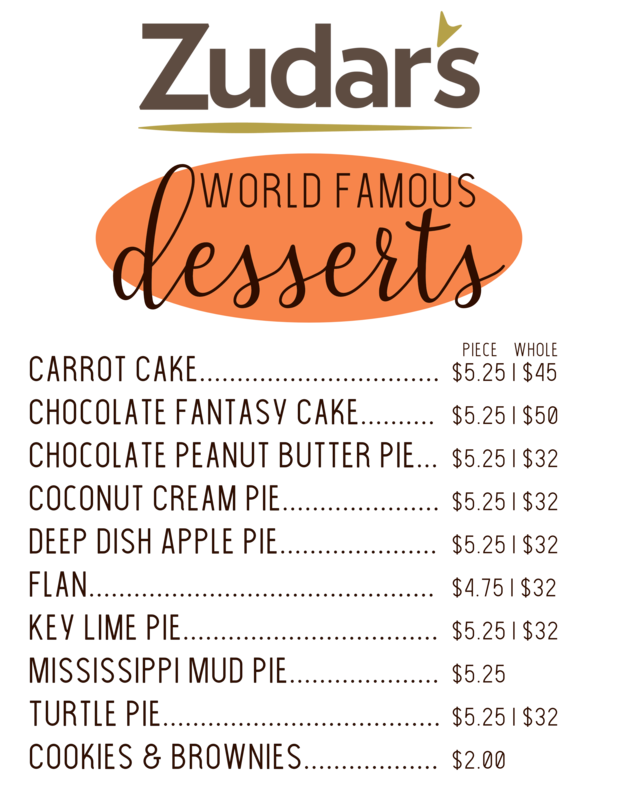 All of our world famous desserts are made fresh, in house. Order by the slice or as a whole pie/cake. *24 hour advanced notice requested for whole pies/cakes.